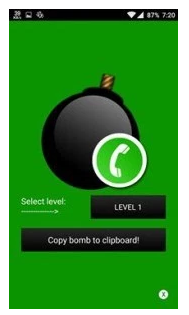 Whatsapp Bomber Trick – Hello Guys, time to do Some Fun With Your Friends. Crash Your Friend Whatsapp With Single Message. This trick is Really So, interesting and easy to use. 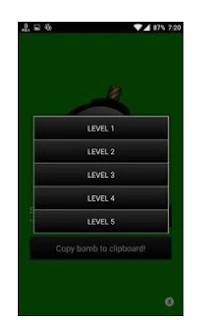 Whatsapp Bomber is An Andriod App that helps You to Crash Your Friend Whatsapp Easily. So, Just Read Our Full Post and Enjoy !! Whatsapp is Now Time, The Most Popular Messaging App which is Used by billions Of Peoples All over the World. That Really Really Amazing. So, Here we come with Some interesting fun things for You. You can Crash Your Whatsapp Friend easily. It’s Really funny & interesting. So, Read Our Full Post and Make Fun. Warning: This post is only for Educational Purpose. We are not responsible if You get any harm by this trick. Now put Text which You want to send and Select Speed and How much you want to Send. You can send unlimited messages so, choose it according to you. Now open web.whatsapp.com in your desktop and log in it with your device via QR Scanning. Now Open chat where you want to send Spam. it Will start Sending messages at Rocket Speed. SO, Enjoy and Send Spam to Your friends and enjoy. Before Start, You must complete Some task for this trick. So, First Fill up all the Given Requirement below. P.S: If Your Unknown Source is Disabled. Go to Your device > Setting>Tick On Unknown Source Option. Now choose Level Option according to their Requirement. There Are 5 Levels, Higher Level mean the highest effect on your friends whatsapp. So, I recommended to use lower level first. After Selecting Level, It will show Your Some Bomb Text Message on Screen. Once Copied. Now Open Whatsapp and Open Your Friend (Victim) Chat. When Ever Your Friend Open Whatsapp and Read your message. His Whatsapp crashed and Phone Hang for Some time. Make Sure, You are not using SMS Bomber trick more than Level 3, if Your device has 1 Gb of Ram otherwise it will hang your smartphone. If incase, your Whatsapp got crashed by SMS bomber trick then just Follow below Simple Steps. 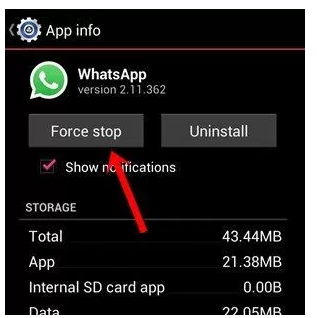 It helps you to Recover your WhatsApp To Normal again. 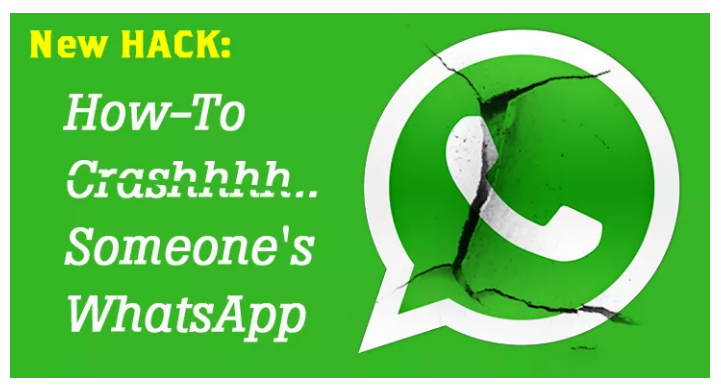 once Cleared, You are able to use Whatsapp normally again. Hope you’re like Our Whatsapp Bomber trick. This trick is really so interesting & funny. So, I decided to post on My Blog. This trick Is only for educational Purpose. So, Guys take care of it. Don’t Use this trick for illegal Purpose. We are not responsible if your get any harm by this trick. Stay Updated with us for more tech tricks !! Updated ! Check it Now ! feature is given by Whatsapp and we can’t bomb.. stay updated bro..! We updated new method for Spamming. Hope You like it..Stay Updated !.Keep visiting !